Vega is a graduate of the Fleming College Occupational Therapist Assistant & Physiotherapist Assistant program. While in this program, she had a clinical placement at Trent Health in Motion, which she really enjoyed. 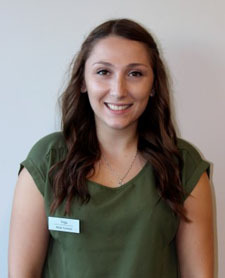 Since graduating, Vega has worked as a Physiotherapist Assistant at Trent Health in Motion, and more recently, she has taken over the position of Clinic Office Administrator. In her spare time, Vega is a proud cat mama to Pumpkin and Taffy.